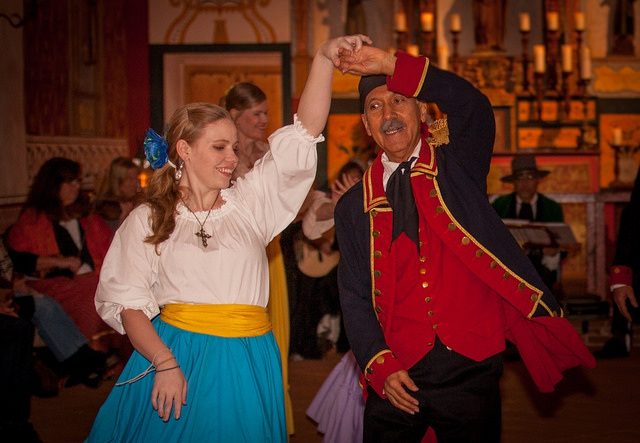 Exciting things are happening for Baile de California in 2015! 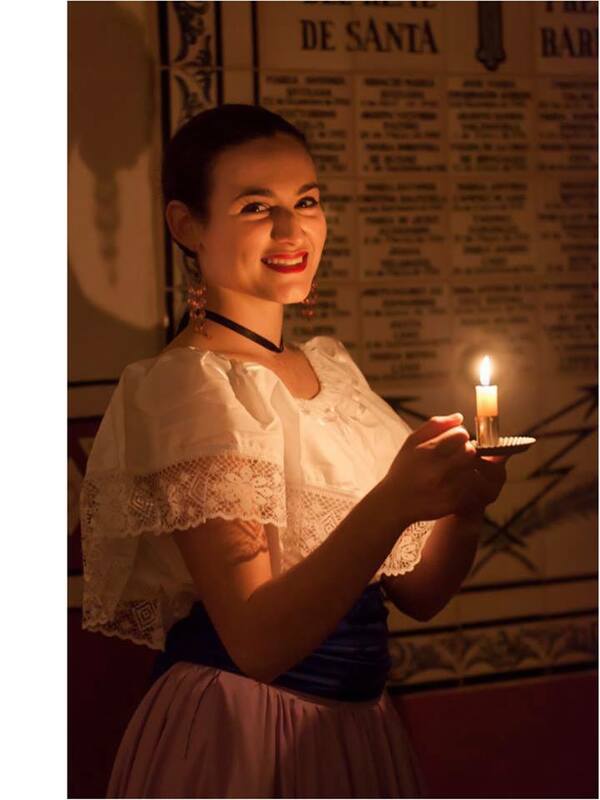 Company rehearsals for our folk/social dances begins TODAY, Jan. 5th. 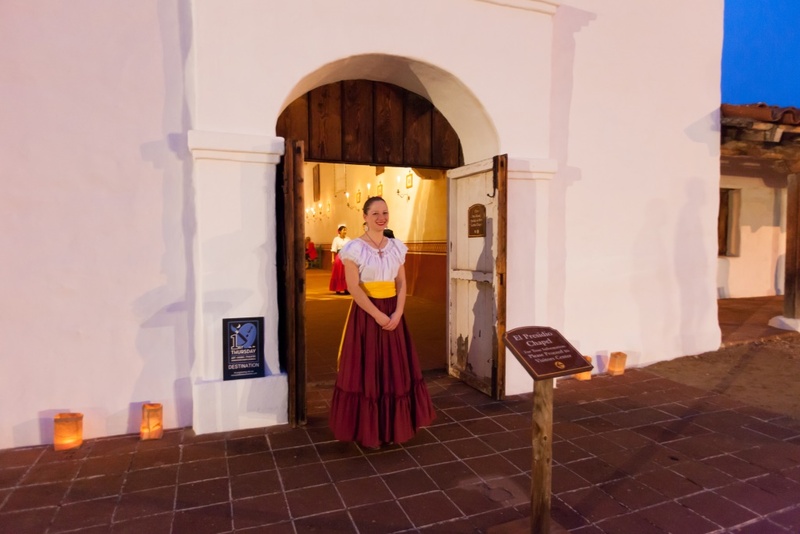 We are prepping for February’s 1st Thursday event, Presidio Pastimes by Candlelight, Thurs., Feb. 5th, 5-8 pm, at El Presidio de Santa Barbara. This is always a fun event with opportunities to see what Presidio life would have been like at the end of the day over 200 years ago. Photos by Fritz Olenberger.